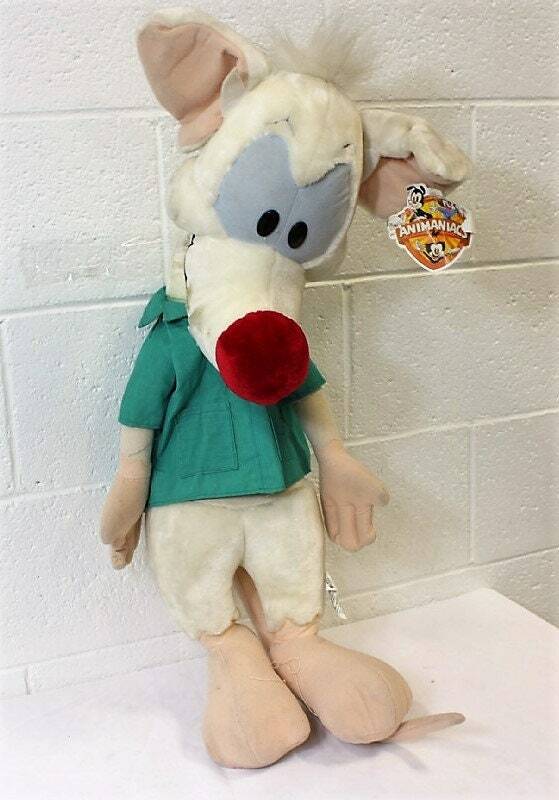 HUGE 33 Plush Pinky and the Brain, Acme Lab, 1997 Animaniacs by Warner Bros. 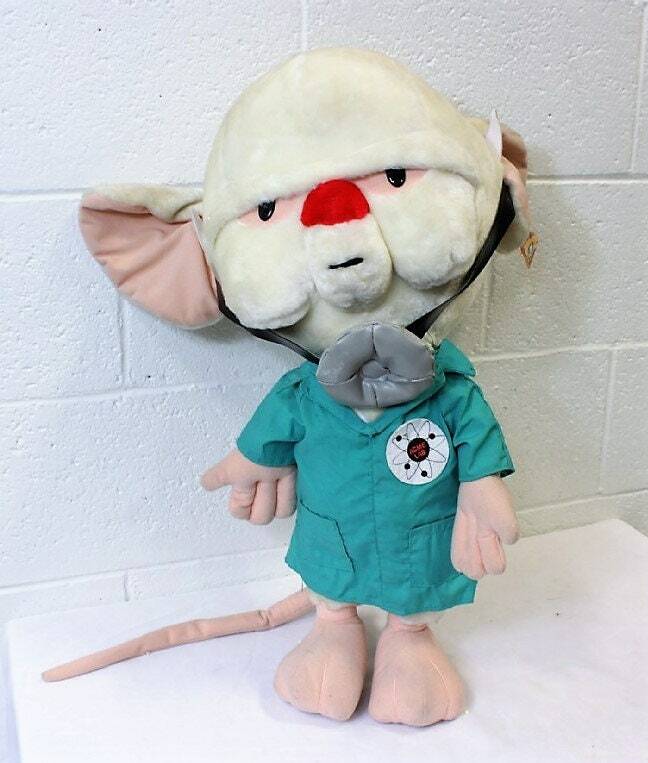 HUGE 33" Plush Pinky and the Brain, Acme Lab, 1997 Animaniacs by Warner Bros.
Pinky, you idiot! 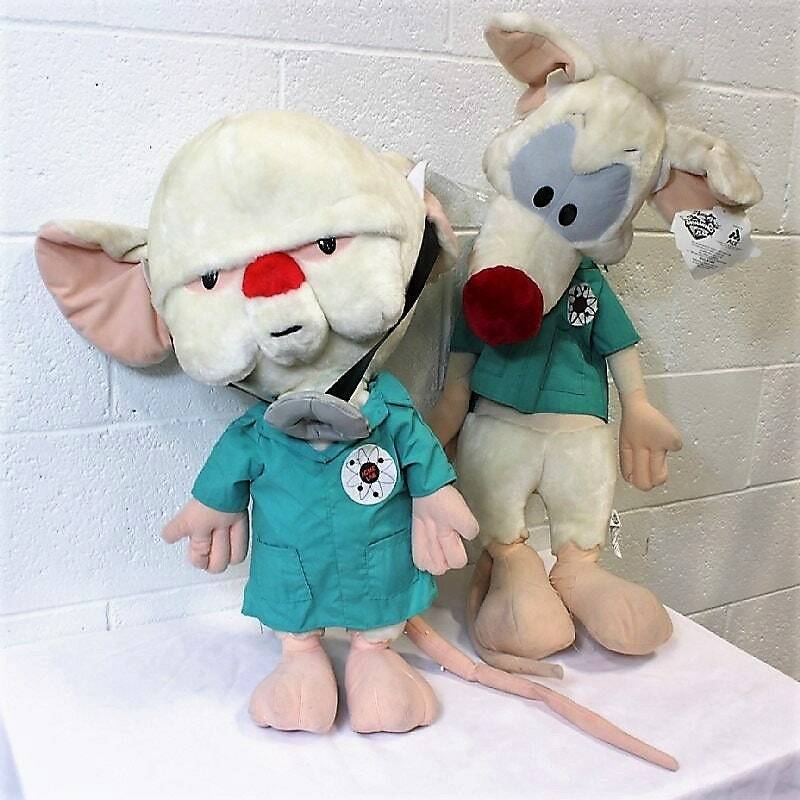 From the eminently popular Warner Brothers Animaniacs series, a HUGE (almost three feet tall) plush Pinky and the Brain in their Acme lab coats and gear. 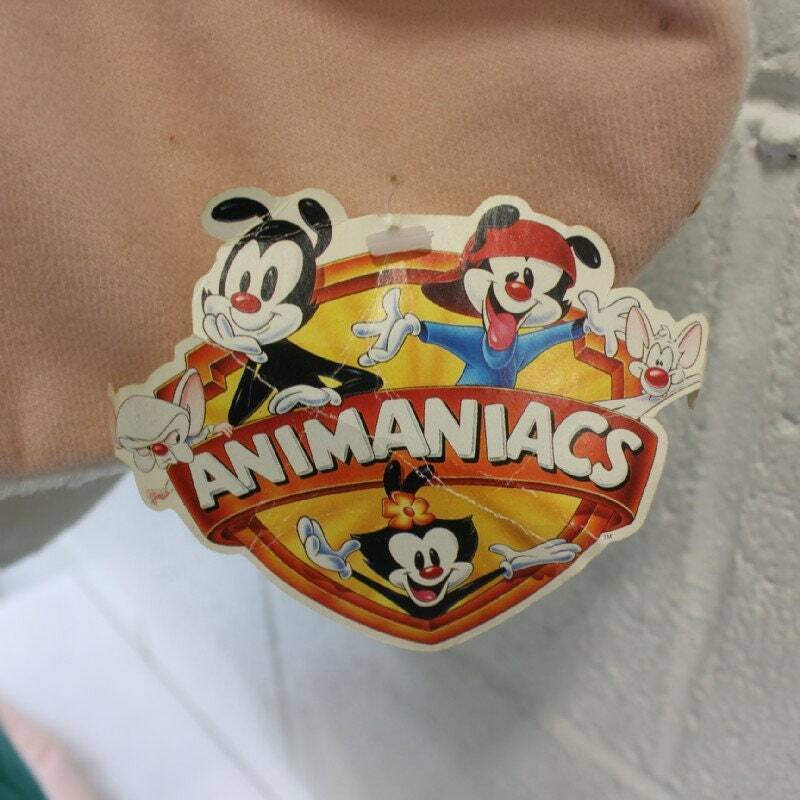 There is a smudge on Pinky's right mouth, but that should come off with a light cleaning. Hang tags are on but creased. As you can imagine, the box for these guys is huge, hence dimensional shipping applies -- sorry!